Hauling your gear and your family’s bikes is now easier and cheaper than ever before with the newest promotional offer on ultimate Hitch-Mounted Bike Racks by CURT. The company has developed high-quality, custom-fit carriers for every model to ensure that you’ll be able to enjoy your weekend getaway in full without sacrificing on anything. 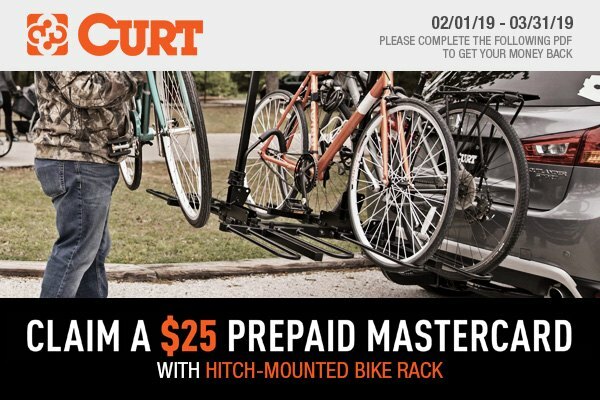 Till the end of March 2019, we welcome you to get your new CURT Bike Rack and save up to $25 with your purchase. Make your Touareg a bit more reliable and versatile with a complete line of USA-made hitches and towing products by CURT at CARiD.